Flip a coin. 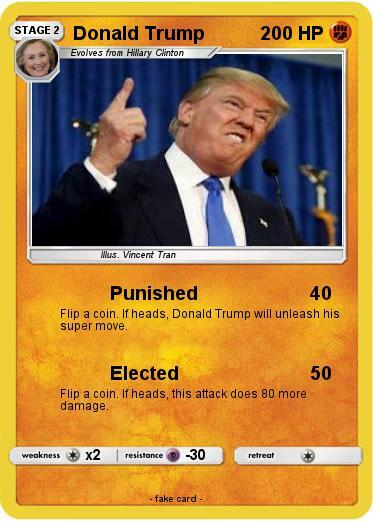 If heads, Donald Trump will unleash his super move. Flip a coin. If heads, this attack does 80 more damage.